Just two days after the conclusion of the WTA Championships, the fifth edition of the similarly named WTA Tournament of Champions gets underway in Sofia. The six highest-ranking women to have won an International title, along with two wildcards, will set their sights on a big prize money cheque as well as a useful clutch of ranking points. The event’s top seed, Simona Halep, has been a revelation in 2013. Not only has she impressed and entertained with her game, which combines brilliant defence with an acute awareness of when to press forward, she has also proven to be a star performer on every surface. Following triumphs on grass and clay in s’Hertogenbosch, Nurnberg and Budapest in the summer, she won her first Premier title on the hard courts of New Haven and was the champion indoors in Moscow a fortnight ago. Halep isn’t the tallest or strongest player on tour, but she is blessed with a fearless attitude and is poised for a brilliant 2014. Ending this year on the highest possible note would underscore her potential. The good news for Halep is that she has never lost to anyone in the Serdika Group. She has earned three wins over Anastasia Pavlyuchenkova, including a straight sets drubbing in the Moscow semi-finals, and one win over Maria Kirilenko and Alize Cornet. (Her US Open third round defeat of Kirilenko, in which she dropped just one game, was particular impressive.) Unless these women raise their levels considerably, Halep is a hot favourite to make the latter stages in Sofia. Kirilenko’s ranking would suggest that she is the player most likely to join Halep in the semi-finals. She is currently 18th in the WTA standings, higher than Pavlyuchenkova and Cornet, who are ranked 26th and 27th respectively. Yet Kirilenko has lost two of her three encounters with compatriot Pavlyuchenkova, including in Moscow. Somewhat surprisingly, she has never beaten Cornet in any of their three meetings. Making matters even more difficult for Kirilenko is her lack of confidence at the moment. The Russian had some great results towards the beginning of the year, winning in Pattaya City and beating Agnieszka Radwanska and Petra Kvitova on the way to the Indian Wells semi-finals, but she hasn’t won three matches back-to-back since the French Open. Pavlyuchenkova has had a very up-and-down season. She earned her berth in the Tournament of Champions courtesy of titles runs in Monterey and Oeiras, and finished runner-up in Brisbane and Seoul, yet she also suffered 12 first round losses. The 22-year-old has a powerful game that can cause problems for anyone when it’s clicking, but her lack of a Plan B, as well as suspect fitness levels, have been her downfall thus far in her career. Nevertheless, the Russian will fancy her chances of coming through the Group Serdika. Despite her winless record against Halep, she will be buoyed by that victory over Kirilenko in the Kremlin Cup and has beaten Cornet all three times they’ve played. For Cornet, the Tournament of Champions represents an opportunity to end an unspectacular season on a positive note. Yes, the Frenchwoman triumphed the clay courts of Strasbourg back in May, but she didn’t have to beat anyone ranked inside the top 60 to take that title. Her next best results were semi-final appearances at International events in Acapulco and Washington; aside from those, she struggled to make it past the last 16 of any tournament. Cornet’s mental strength has been a subject of scrutiny for many years now. She is capable of starting down the likes of Victoria Azarenka, pushing the world number to a deciding set at both the French and US Opens, but she is also prone to nervy, dramatic collapses. Her winning record over Kirilenko gives her a fighting chance of making the Sofia semi-finals, but she’ll need to knuckle down and maintain a good attitude throughout the round robin stage. Prediction: Halep will maintain her sparkling form to win all three of her Serdika Group matches; Pavlyuchenkova will beat Cornet comfortably and Kirilenko in a tough three-setter to take the other semi-final spot. Moving onto the Group Sredets, we find two players who didn’t win a title this year. Many have criticised tournament organisers for bending the rules, but their awarding of wild cards to Ana Ivanovic and Tsvetana Pironkova makes commercial sense: Ivanovic is a star attraction wherever she plays, and Pironkova is the highest ranked Bulgarian on the WTA Tour. Despite the lack of silverware, Ivanovic arrives in Sofia as the second seed. The Serb is ranked 16th after another solid if unsensational season in which she reached the fourth round of three Grand Slams. A two-time victor at the Tournament of Champions, Ivanovic has a winning record over Pironkova and Elena Vesnina and has beaten Sam Stosur before, although not since 2009. Whether or not Ivanovic makes it through the round robin depends very much on which Ivanovic shows up in Sofia. Will it be the headstrong big-hitter who scored wins over Jankovic, Kerber and Vinci this year? Or will it be the inconsistent, indecisive player who fell to 123rd-ranked Timea Babos in Monterey? Stosur, another supremely talented but confounding contender, is enjoying a late-season renaissance. The Aussie qualified for Sofia just in time by winning in Osaka earlier this month; she followed that up with a run to the final in Moscow. The good form comes as a mighty relief to the former US Open champion, who has tumbled down the rankings this year and was on the verge of exiting the top 20. Few can match Stosur when she’s in the zone – she blasted past Azarenka in the Carlsbad showpiece this summer for the loss of only five games – but few are as tough to watch when she’s having an off day. Yet if the 29-year-old can summon her best tennis in the Bulgarian capital, she will be favoured to reach the semi-finals. She has got the better of Ivanovic in their last three matches, and has never lost a set to Pironkova. Elena Vesnina joins Stosur and Halep as the only women in the Sofia field to win both an International and Premier title in 2013. The Russian, one of the world’s best doubles players, hoisted trophies in Hobart and Eastbourne, beating Li Na on the way to the latter title. Other wins over Kerber and Venus Williams prove that Vesnina is not afraid of taking on the big names, so can she rise to the challenge this week? The Russian has never played Pironkova and has lost to Ivanovic twice in three meetings, but she has beaten Stosur twice before, albeit in 2009 and 2011. If her higher ranked rivals succumb to fatigue or a sudden loss of form, the steady Vesnina is more than capable of capitalising. Finally, we come to Pironkova, the least decorated player in the tournament. With a 1-4 record against the other members of her group (she beat Ivanovic in Rome in 2008), the Bulgarian will have a hard time holding her ground. A brilliant grass court player, and the only woman besides Serena to beat Venus twice at Wimbledon, Pironkova still hasn’t found a way to succeed on other surfaces, which is why she currently languishes at 119th in the rankings. The 26-year-old may have the support of the home crowd this week, but it would be surprising if the good vibes translate into wins. Prediction: Ivanovic and Stosur will come through the Sredets Group after both are pushed by Vesnina; Pironkova will finish the round robin stage with only one set to her name. No one is as big a frontrunner in Sofia as Serena Williams was in Istanbul, but based on recent form this looks like Halep’s tournament. Although others in the draw, namely Ivanovic and Stosur, are more powerful, they lack her consistency and coolness under pressure. The Romanian won’t have it all her own way at the Arena Armeec, but she’ll battle to her sixth title of the season and end the year on the cusp of the top ten. 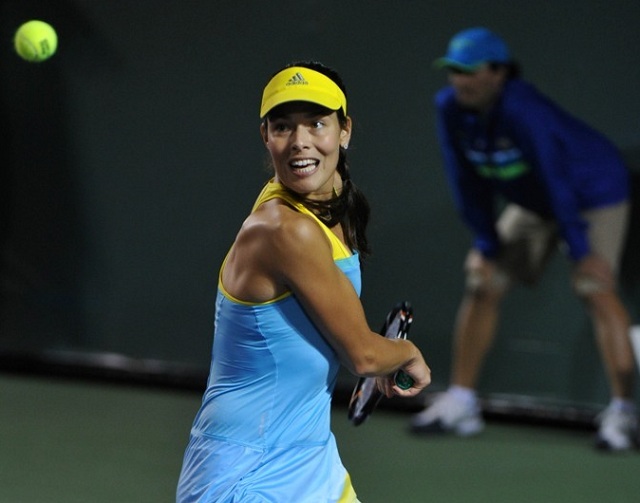 Ana Ivanovic will win this tournament! 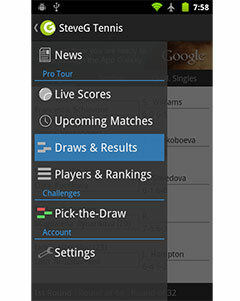 Plz show me how to chose players who will play in Wta tournement od championship?